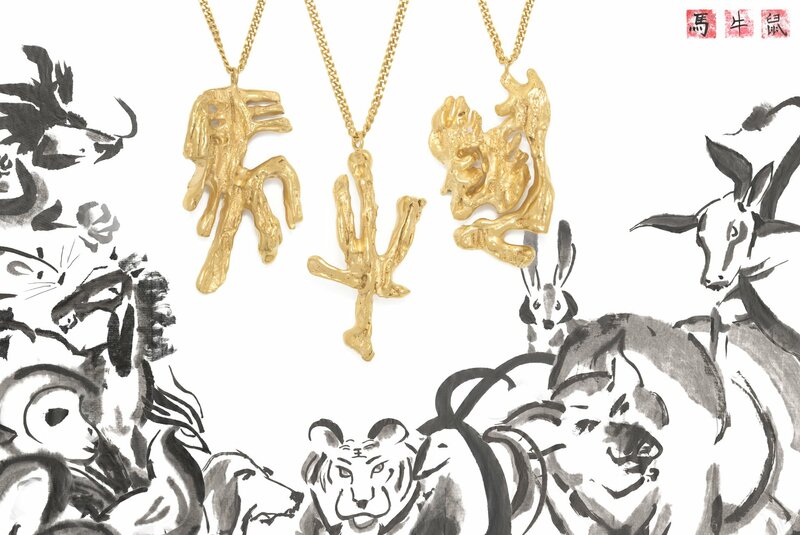 Loveness Lee wonderful new Chinese Zodiac collection – Art, Food, Travel and Fashion! Launched in 2016, Loveness Lee is a contemporary British jewellery brand for women with a daring attitude to style. The jewellery is handmade in London using altered, ancient jewellery techniques and traditions. Natural forms, vivid hues and irregular textures define the brand’s unique and statement style. Serendipity plays a big part in the design process as the shapes, colours and textures – although consistently recognisable – cannot be pre-determined. The ‘Trans-natural’ concept behind the jewellery is envisaged from a collaboration between nature, science and art working in unison. Using a skilled process of cuttlebone casting and patination, Loveness Lee manipulates traditional techniques to create naturally free-formed shapes and textures; these are then meticulously hand-treated to coax an array of bright pigments and patterns. The extraordinary creation process makes each piece of Loveness Lee jewellery as unique as the woman who wears it. The woman behind the brand, Loveness Lee is a London-based contemporary jeweller. She developed her signature style and craft at Middlesex University followed by a Master’s degree at the renowned The Sir John Cass Faculty of Art, Architecture & Design (CASS), London Metropolitan University. Fusing together influences from nature and science, alongside a yearning to mix up traditional jewellery techniques, Loveness Lee has created a distinctly statement jewellery collection, unique in style and full of intrigue.